I always wanted to own a minimalistic home, the kind you see in magazines that have just a couple of elegant pieces of furniture, select pieces of modern art and expansive windows overlooking a scenic garden or better yet ocean cliffs. Well, my home’s style is not considered minimalistic, I have two kids and with that tons of clutter, and artwork on the walls from their projects at school (art that may be considered modern by some but probably won’t be seen in the next issues of any design magazines). I love my life and wouldn’t change it, but it does take some strategic planning and organization to keep the rooms in my home looking spacious. For the kids rooms my main objective is to keep them as fun as can be and don’t give much thought to ways of making them look more spacious. For common areas like the living room and family room on the other hand I am always keeping up on design tips. Below are some that I have found most helpful and in my opinion actually worked to modernize and visually expand my rooms. Obviously we first-off need to keep rooms tidy. This is easier said than done, especially when I find myself stepping on Legos that my kids left out each morning and constantly throwing out the junk mail that my husband leaves all over the house. Setting up simple systems and agreements on where to put mail, how often to clean and keeping toys in bins goes a long way. Using a rug to break out a room into smaller spaces is another tactic that has worked extremely well for us. 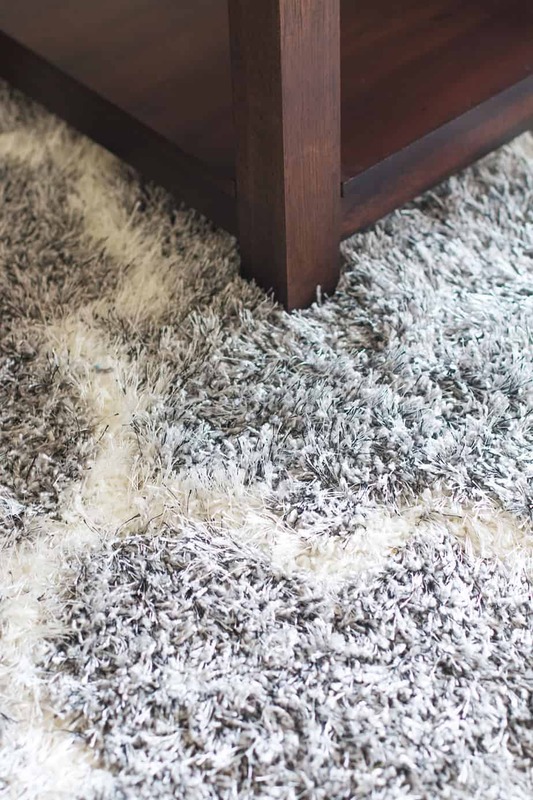 Design experts recommend striped rugs and furniture to give an elongated feel to a room, but any fresh pattern or color should do the trick. We picked up the rug pictured from www.rugsusa.com, which has become our favorite go-to for indoor and outdoor rugs. Their selection is sophisticated yet priced well, and very well organized so I can peruse through categories like vintage or contemporary to get great ideas. We surrounded the rug with a few pieces of furniture to create a room within the room (seems counterintuitive but the “floating furniture” concept worked for us as it has for many others). The furniture we selected is also bright and we didn’t shy away from colors that didn’t fall into obvious accordance with other pieces. Have some fun and don’t feel a need to be “matchy-matchy” with your colors. For artwork, vases and other trinkets we’ve picked up over the years we opt for fewer, bigger items rather than many smaller ones. They catch the eye more and give less busy feel to a room. This doesn’t always work out, if you see something you love especially when traveling or antique shopping you have to go with your heart and throw all rules out the window. That has been the case for us too, and although I love how shelves in magazines often only have a few items ours tend to break this rule more often than not. Speaking of shelves we popped ours out a foot or so from the wall which also seems like it would make the room seem smaller, but it added a nice angle and actually gave a more spacious feel. Experts recommend to even pull couches away from the walls at least a few inches, and possibly fare enough for a console table (I suggest finding or making one with reclaimed wood. Spend a little more on the surface as most of the rest of the table won’t be visible). Light colors are also a suggestion we see time and time again. We wanted a leather couch and didn’t opt for white as we have those two little buggers spilling stuff all the time, so with a black couch and dark wood table we decided to go with lighter colors for flooring and rugs. 90% of the experts will recommend lighter paint colors but if you must have darker walls you can really spruce things up with some bright and furniture and artwork. We have made great use of mirrors in the bedrooms and hallways, giving the illusion that rooms stretch far longer than they do. Consider the light in each room before deciding where to place a mirror, if they are directly across from a window it can reflect light and increase the angles and viewpoints to the window/outside. Thanks to rugsusa for sponsoring this post. I use mirrors in tight spaces in my house. It’s amazing how well they work to make the room look bigger. Thanks so much for sharing this. I think it’s amazing that popping shelves OUT would actually make the room look larger. I love using mirrors in a space. It really opens it up. It’s amazing how little touches can make such a huge difference in a room. We have a really small house so we could use more shelves to get rid of all sorts stuff off the floor. Thanks for the idea! Great tips. I have a small family room that needs work. It is true mirrors add a minimalist element to homes and make them appear more modern and streamlined. It is quite exceptional how finishing touches make a room. These are pretty clever tips. I’ll have to start experimenting with the rug and furniture placement in our family room. 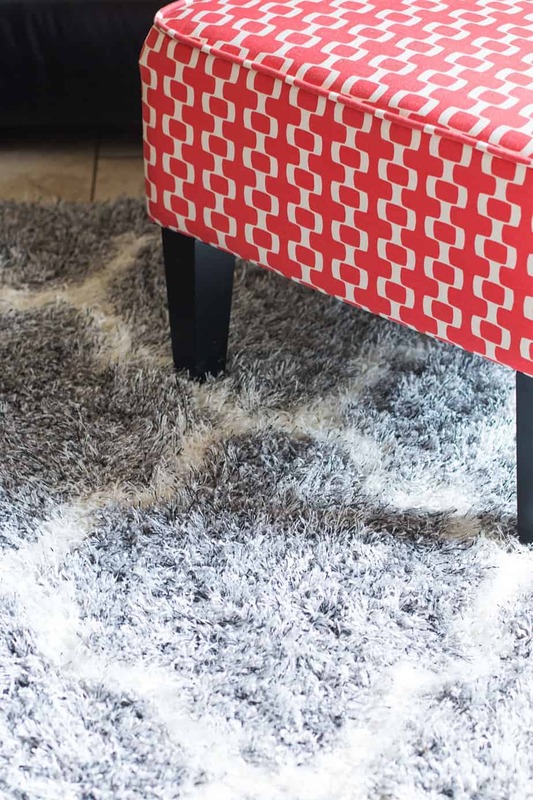 Really good tips, and I love the look of that rug too. Ten years ago we bought a big home and filled it with all kinds of large heavy furniture and pictures and such. But then last year we found that we would prefer to move and to not take any of that with us. I found that when I walked into a room full of furniture, no matter how nice it was, I felt ill at ease. But when I walk into a room with just a few pieces of furniture, I feel relaxed and calm. So now we live a minimalist lifestyle too. Very beautiful decor in all of the photos. Thank you for sharing your tips, I’m redoing some of my furniture and such to achieve a new look. We have a plush rug in our family room because the kids play on it and its laminate floor we didn’ want to receive any more damage. I like the idea of rugs and minimalistic ideas. I agree though, so hard with kids to do this. Clutter just bothers me!! 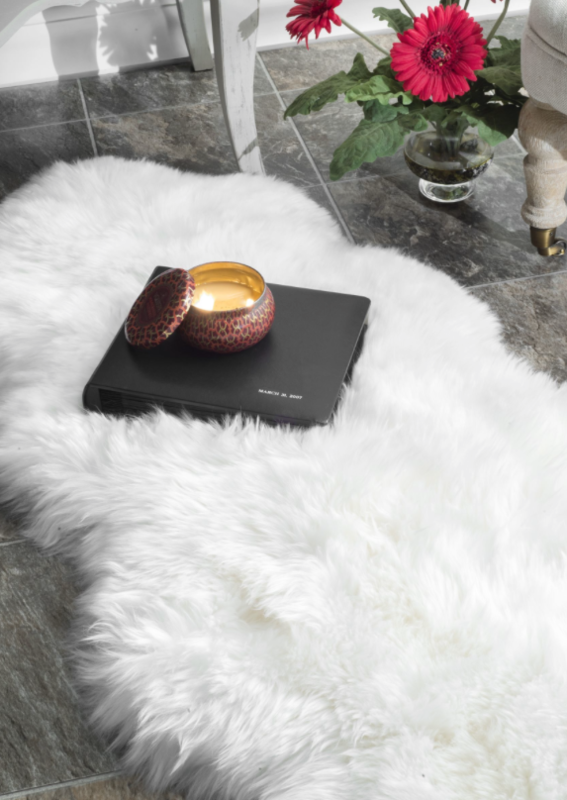 Love these plush rugs look comfortable…Your decor looks clean simple elegant! Those are pretty cool tips. Apartments these days keep getting smaller. I love the minimalistic look. I’ve always want to make my home as simple as possible. I love it, its so simple yet classy. Thank you for sharing these great photos. These are awesome tips. A mirror is a great way to make your space look larger. I love this! Will have to incorporate some of these ideas next time I am redecorating. Mirrors are a great way to make a space look bigger. I will have to try a few of these tips. I love adding a piece here and there to bring out colors and a warmer feel to certain rooms in my house. I will have to try some of these tips throughout my home! These are all great tips. I love how all of these rooms look too. I need to redo a couple of rooms in my house! These are great tips. I don’t know much about home designing but I know what looks good. I love these tips. As someone who isn’t very good a design I have a hard time grouping things that go together. These is great idea on how to expand the house. I really like the plush rug it looks very comfy. Thanks for sharing your idea. We could use this to our house. I am not the decorator at all so these are great tips. Thanks. Omg loving all of your decor tips!!!! So fabulous. Wonderful tips. I find mirror’s really change up a room’s look and feel. I have a few decorative ones I just love! I see what you mean about pulling the furniture away from the walls. The room doesn’t have a tight feel to it now. I decorative mirrors in the dining room and it really makes a big difference! These are great tips! I really like the minimalist look. We’ll be decluttering this year and getting rid of a bunch of stuff. That will definitely make our rooms look bigger. I love these ideas. My house is tiny and I need ways to make it look larger besides mirrors everywhere. I love these ideas! Our house feels small with 8 people in it and these are some great ideas! I love the style of carpet, this would be perfect for our new home, thank you for sharing your knowledge. It’s amazing how a good rug can transform the look of a room. And, I really do like how a mirror can add so much to a room as well. These are indeed awesome tips for a room with minimalistic look. I love the use of the lighter carpets and the mirrors. The mirrors do really improve the look of a room when it is small. Thanks for sharing the tips. A Shag rug??? I’m not sure I can be sold on that. Mind you, if it is just an area rug it could be doable. Great ideas though… I love design. I love your suggestions! I do try to make my home look more minimalistic!